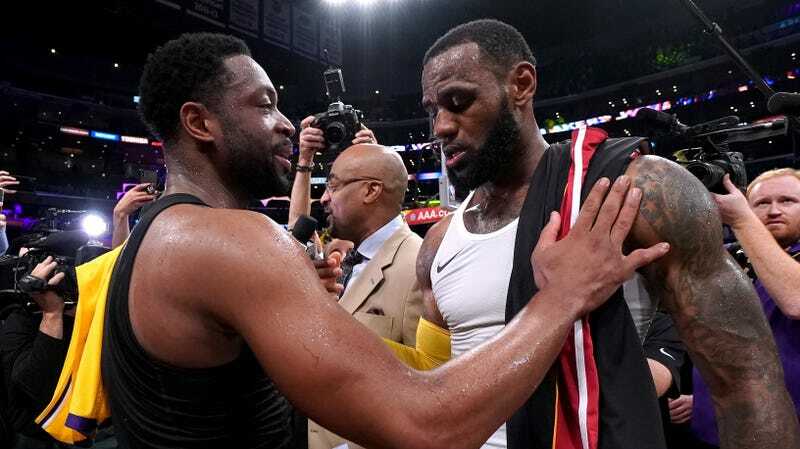 LeBron James shared an NBA court for the last time with longtime buddy and former teammate Dwyane Wade last night. It was a fun and festive game that ended with Wade throwing up a crazy potential game-tying three and then hugging James right as the buzzer sounded. It also, briefly, left Knicks fans searching their homes for poisonous substances. The Garden? As in... Madison Square Garden? As in... LeBron James was actually thinking about signing with the Knicks?? It can’t be true, can it? So calm down, Knicks fans. Now you can go back to enjoying your time spent rooting for the team to lose as many games as possible so that they can draft Zion Williamson, who will somehow end up a Boston Celtics legend.